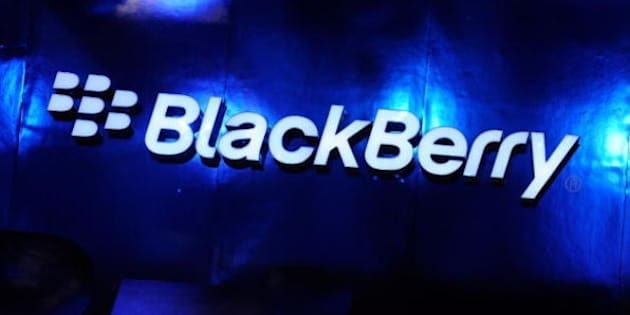 TORONTO - BlackBerry Ltd. (TSX:BB) (Nasdaq:BBRY) has hired another tech industry veteran for a key leadership role, as the smartphone maker pushes ahead with another turnaround attempt. Ron Louks, who held senior positions at HTC America Inc. and Sony Ericsson, has been appointed to help develop the company's long-term product roadmap, BlackBerry announced on Monday. Louks, 49, will take the newly created position of president for devices and emerging solutions, reporting to BlackBerry chief executive John Chen. Louks will directly manage long-term plans for BlackBerry's product lineup, which includes its mobile devices, software, and partnerships with other companies, Chen said in a release. "I am confident that Ron will bring the skills and expertise that will make an immediate impact to BlackBerry and to our customers around the world," Chen said. "A good deal of Ron's time will be spent with customers, carriers and partners." Louks joins BlackBerry from OpenNMS Group, where he was chief executive. Prior to that, he was chief strategy officer of HTC America and chief technology officer of Sony Ericsson, two smartphone companies that have competed with BlackBerry and their mutual rivals. This is the latest in a number of changes that Chen has made to BlackBerry's executive ranks since he joined the smartphone company in November as chairman and interim CEO. Before joining BlackBerry, Chen was chairman and CEO of Sybase from 1998 until the data management company was acquired in 2010 by SAP AG. He was credited with helping to grow Sybase into a profitable operation focused on mobile business technology. Chen also held executive positions at Siemens AG, Pyramid Technology Corp., and Burroughs Corp.
Last month, Chen appointed two executives from software maker SAP as part of an effort to strengthen its strategy and marketing operations. Amid all the changes, Chen has said BlackBerry will continue to be a device maker, a part of the business that some suggest could be spun off amid intense competition from Apple, Samsung and others. Apart from Chen's statements, BlackBerry has taken steps to demonstrate it has a long-term interest as a device maker — including a five-year partnership with manufacturing company Foxconn announced last month. Last week, BlackBerry also announced that it has launched a suit that claims its intellectual property has been infringed by a keyboard case for iPhones that has been developed by Typo Products, a tech startup co-founded by "American Idol" host Ryan Seacrest. Typo has said it will defend itself against BlackBerry's allegations, which it says are "without merit." BlackBerry shares rose 26 cents, or 3.2 per cent, to $8.35 on the Toronto Stock Exchange.